How is the City of Arvada handling increased homelessness? Learn first-hand, in these comments from Retired Arvada Police Chief Don Wick. Homelessness is on the rise in Arvada and throughout Colorado. In our community, homelessness is increasingly affecting families with children, the under-employed, veterans and individuals with mental health or substance-abuse issues. The City is collaborating with other organizations and agencies to help find solutions to homelessness. Recent data shows that in Jefferson County, 77% of those experiencing homelessness are families with children. Others experiencing homelessness include veterans and individuals with mental health or substance-abuse issues. How many people experiencing homelessness live in Arvada? The number is difficult to quantify because those experiencing homelessness tend to move between jurisdictions, and many do not want to bear the stigma and scorn often associated with being homeless, and, therefore, avoid using resources that might identify them as experiencing homelessness. Why is the population of those experiencing homelessness growing in Arvada? Homelessness is becoming more prevalent in all Colorado communities. While the reasons for the increase in homelessness are complex, rising housing costs and lack of affordable housing are contributing factors, as are mental health and substance-abuse issues. What proactive approaches are being implemented? Living Well Shower Trailer: Donations and volunteers needed. By providing services to those experiencing homelessness, is the City encouraging the population to come to Arvada? Homelessness is an issue growing in communities all over Colorado regardless of how those cities respond to the issue. Arvada is responding by working to find solutions that allow those who are experiencing homelessness to maintain a measure of human dignity while they get back on their feet. How is Arvada PD responding to homelessness in Arvada? The Arvada Police Department has increased its presence in Olde Town and is conducting extensive outreach to connect those experiencing homelessness with resources, while actively addressing public safety issues sometimes related to homelessness. Arvada PD follows standard procedures for enforcement of code and ordinance violations, regardless of the status of the individual involved. 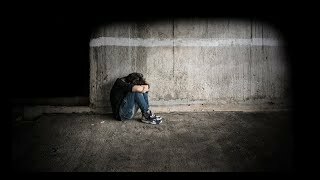 Is it illegal to be homeless? No. It is not illegal to be homeless, and those experiencing homelessness have the same rights as all other citizens. What behaviors and activities are illegal? When should I contact Arvada PD? If you are concerned for the individual's welfare or overall health and safety. The subject poses a threat to themselves or the community. The individual is clearly violating state or city law. These situations do not constitute the ONLY means as to why police should be contacted. If you believe the situation warrants police response, please contact non-emergency police dispatch 720-898-6900. Please visit the Jefferson County Homelessness Resources webpage for information on volunteering, donating or finding resources for someone experiencing homelessness. Severe Weather Shelters have been established in Jefferson County through partnerships between local churches, non-profits, and community volunteers. Attainable Housing is currently being explored at a regional and local level. The partnership between the Arvada Housing Authority and the Community Table's Bridges to Opportunity program provides housing assistance to 25 homeless or at-risk of homelessness individuals and families in addition to case management services. The partnership between the Arvada Housing Authority and Colorado Homeless Families provides housing assistance to 25 homeless or at-risk of homelessness individuals and families in addition to case management services. Heading Home Jeffco outreach teams with City staff, social workers and mental health workers have partnered to provide resources for the homeless.